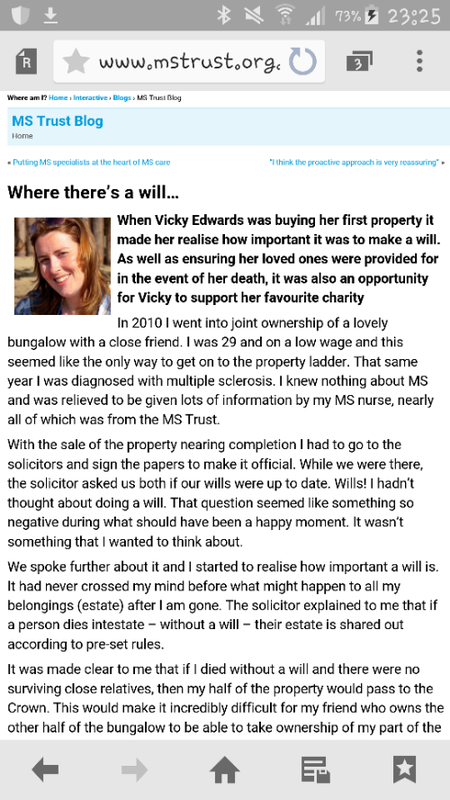 Where there’s a will… | MS Trust Blog | MS Trust – Living life the MegaSpecial way! This is the article I hope to be in ‘The Telegraph’ next month, that’s if the newspaper decide to promote ‘remember a charity in your will week’ now that would be something special! What an amazing day yesterday was!